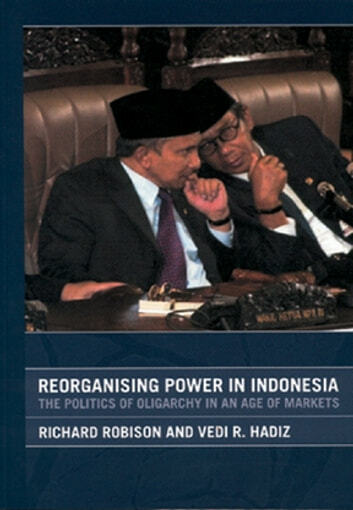 Reorganising Power in Indonesia is a new and distinctive analysis of the dramatic fall of Soeharto, the last of the great Cold War capitalist dictators, and of the struggles that reshape power and wealth in Indonesia. The dramatic events of the past two decades are understood essentially in terms of the rise of a complex politico-business oligarchy and the ongoing reorganisation of its power through successive crises, colonising and expropriating new political and market institutions. With the collapse of authoritarian rule, the authors propose that the way was left open for this oligarchy to reconstitute its power within society and the institutions of newly democratic Indonesia.